To improve pedestrian safety, MCDOT has activated one of the first pedestrian hybrid beacons in Montgomery County, known as a “HAWK” (high intensity activated crosswalk), on Muddy Branch Road at the intersection of Harmony Hall Road and King James Way. The HAWK is a traffic signal that remains dark until a pedestrian presses the signal’s push button. The button then activates a FLASHING YELLOW signal to alert approaching motorists that a pedestrian is present and that they should be prepared to stop for pedestrians in the crosswalk. The FLASHING YELLOW display is followed in sequence by a SOLID YELLOW display and then by a SOLID RED. SOLID RED requires drivers to stop at the pavement stop line. The pedestrian may start crossing the road when the WALK signal is shown on the display visible to them. Following the WALK indication for pedestrians and during the SOLID RED interval for drivers, the countdown pedestrian signal will display a FLASHING DON’T WALK, then a SOLID DON’T WALK indication. The FLASHING DON’T WALK indication means that a pedestrian should not step off the curb to begin crossing, but pedestrians already crossing will have time to get across the road before the SOLID RED signal for drivers ends. While the traffic signal shows the WALK, FLASHING DON’T WALK, DON’T WALK indications, motorists will see SOLID RED and are required to STOP. At the end of the pedestrian crossing period, the signal goes DARK again and motorists can proceed after pedestrians have cleared the crosswalk. Because HAWKs may be new to drivers and pedestrians, both need to exercise caution at first to ensure that everyone understands the new signal’s operation. The Maryland Department of Transportation’s State Highway Administration only recently allowed the use of the HAWK signal in Maryland. 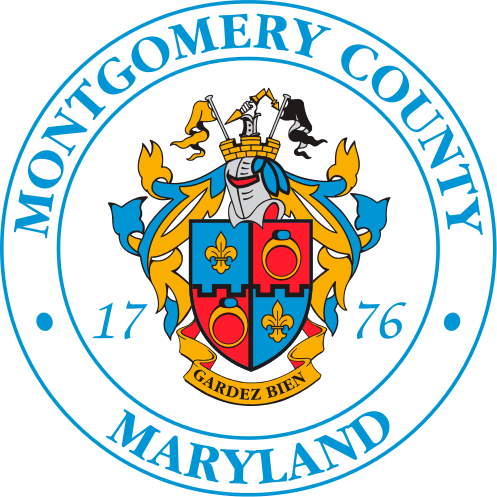 Montgomery County is required to follow the Maryland Manual on Uniform Traffic Control Devices (MDMUTCD), which defines the standards used by road managers to install and maintain traffic control devices on all public streets, highways, bikeways, and private roads open to public travel. MCDOT is considering HAWK installations at other locations where there is a need for added pedestrian protections, but the locations don’t warrant installing full traffic signals. Such locations typically do not have sufficient traffic volumes on the intersecting roadway approaches to meet MDMUTCD standards for full signals. Currently MCDOT is designing two more HAWK signals that are expected to be constructed by early summer 2019. They will be located at Aspen Hill Road and the Plaza Shopping Center Driveway, and Democracy Boulevard and Davis Library and Walter Johnson High School.